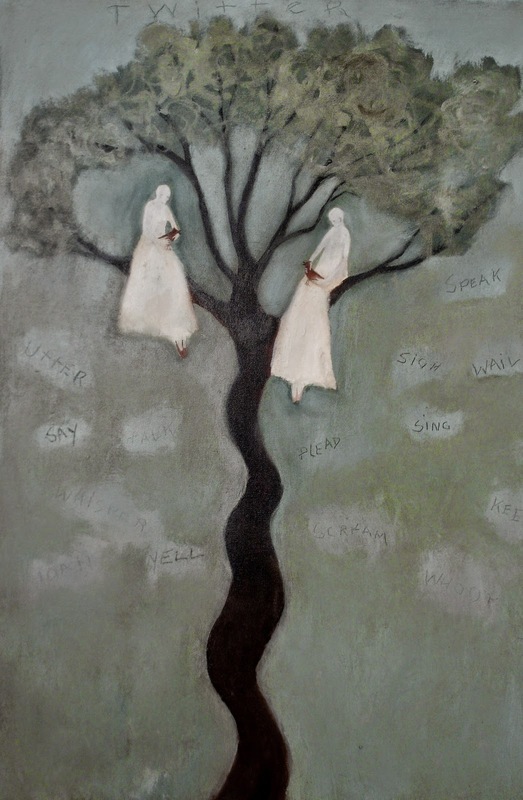 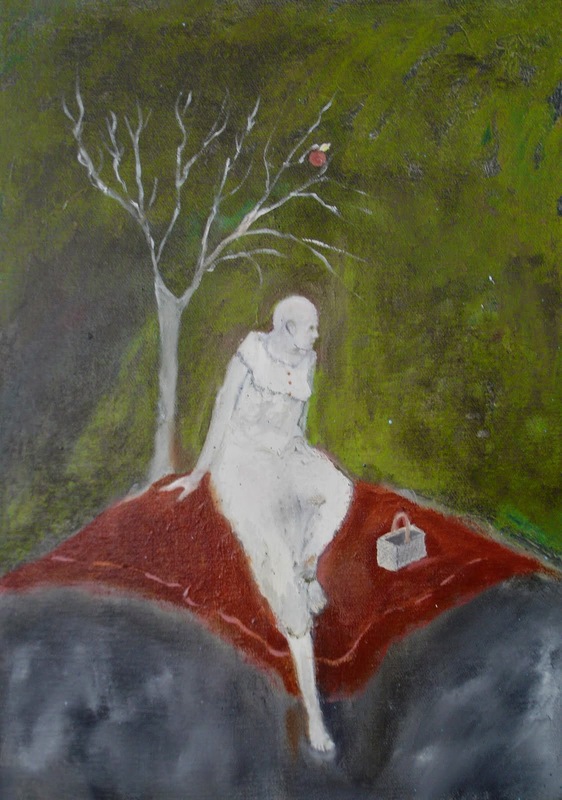 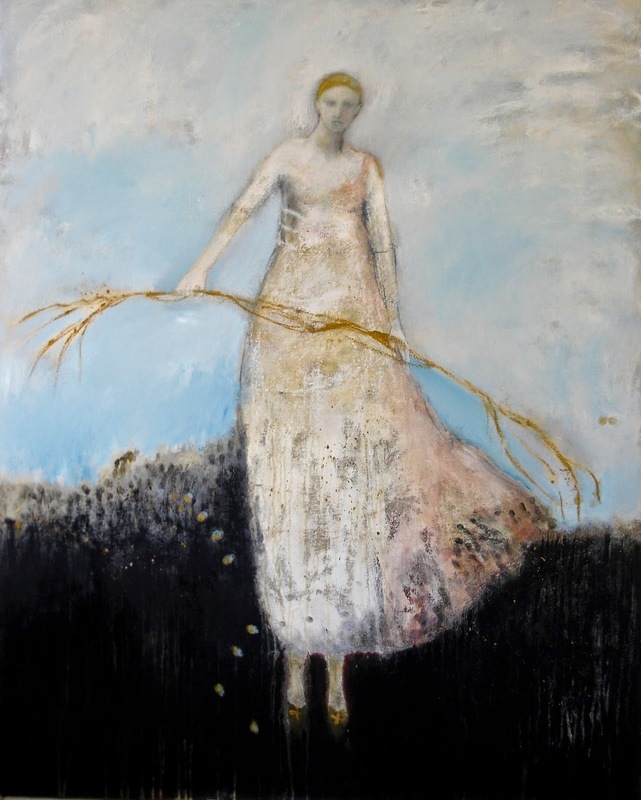 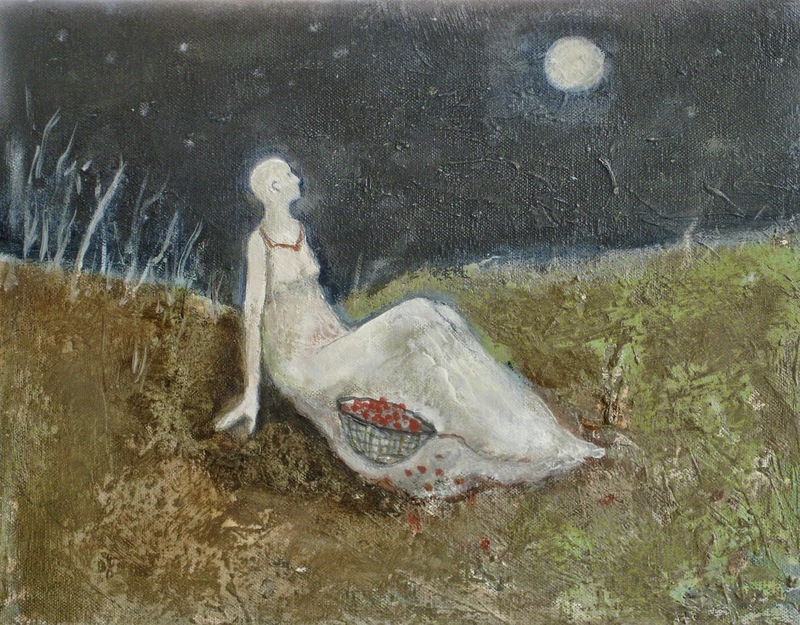 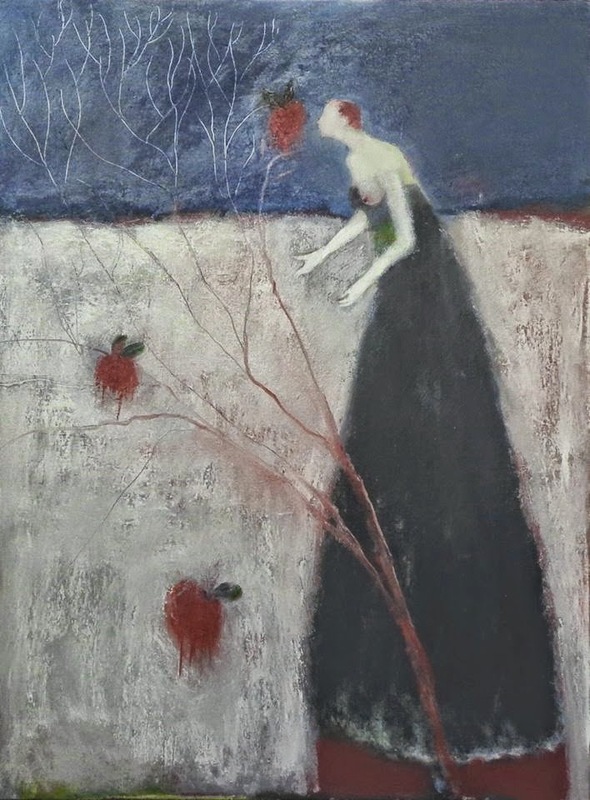 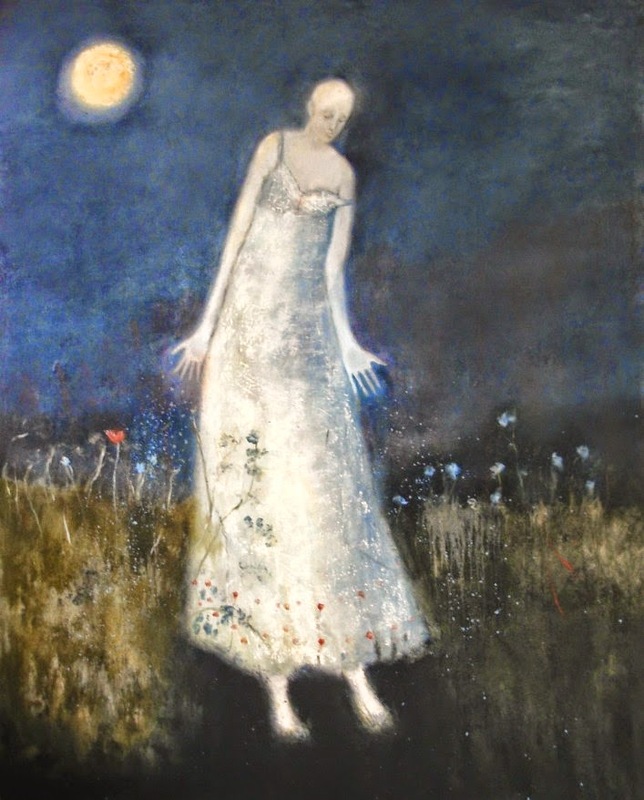 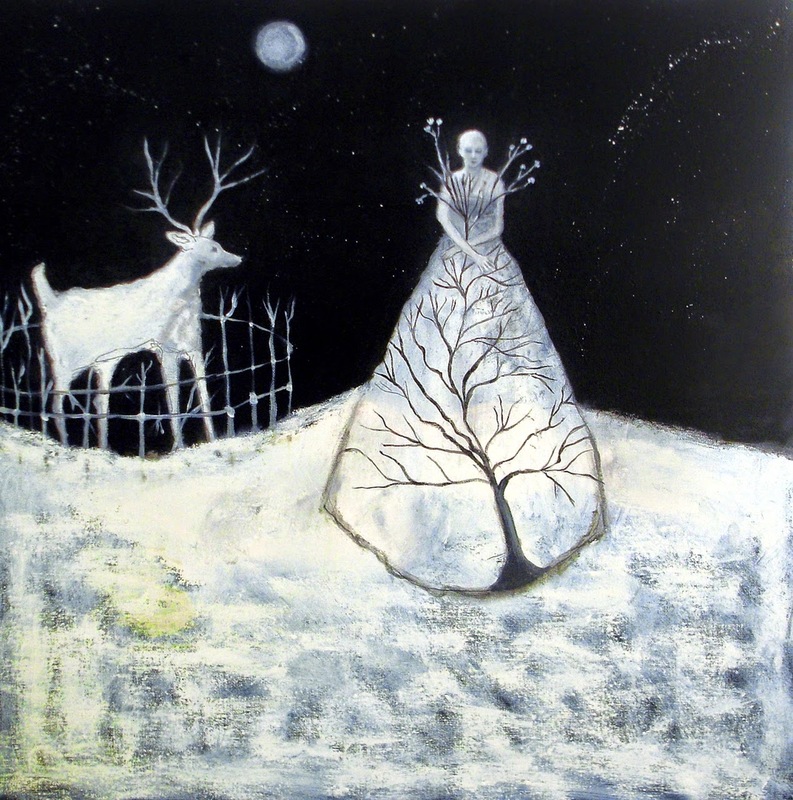 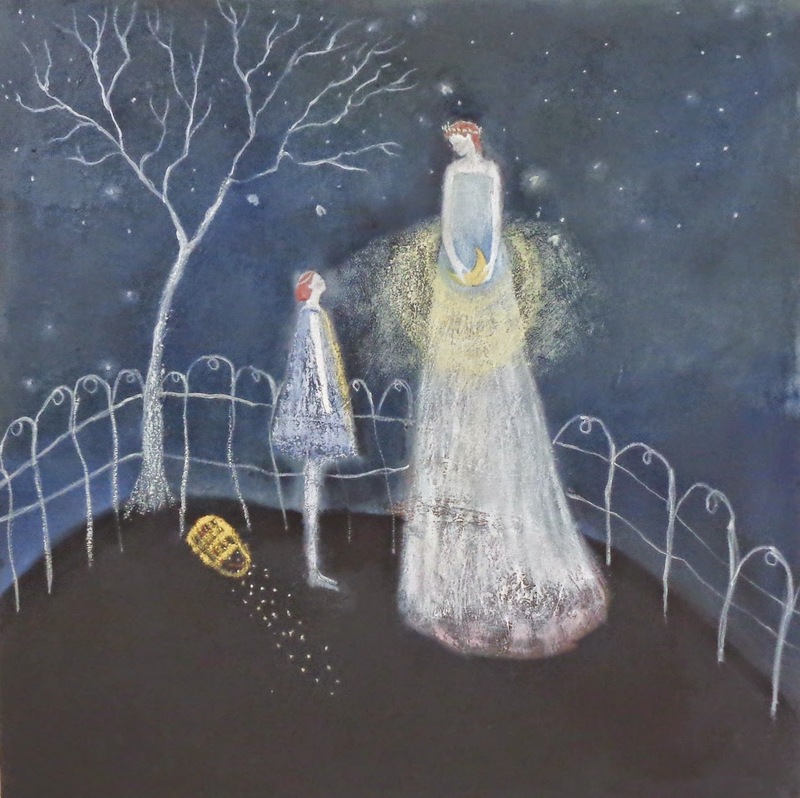 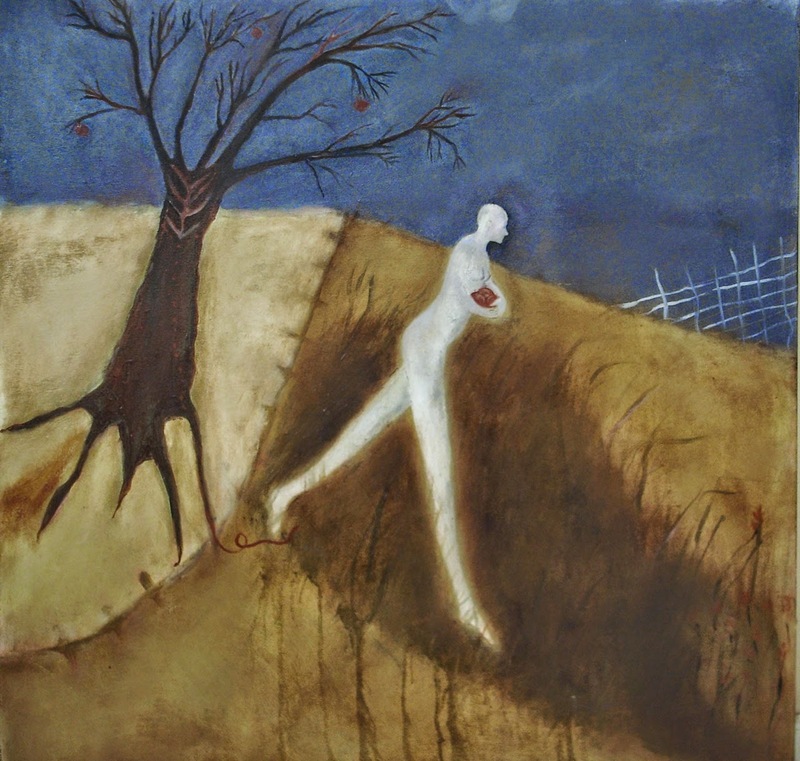 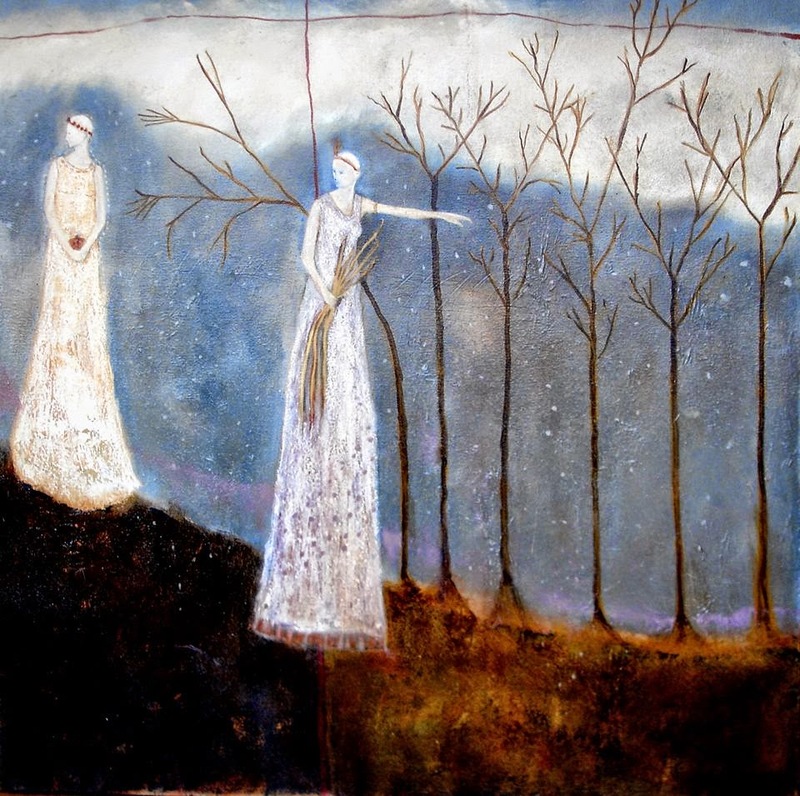 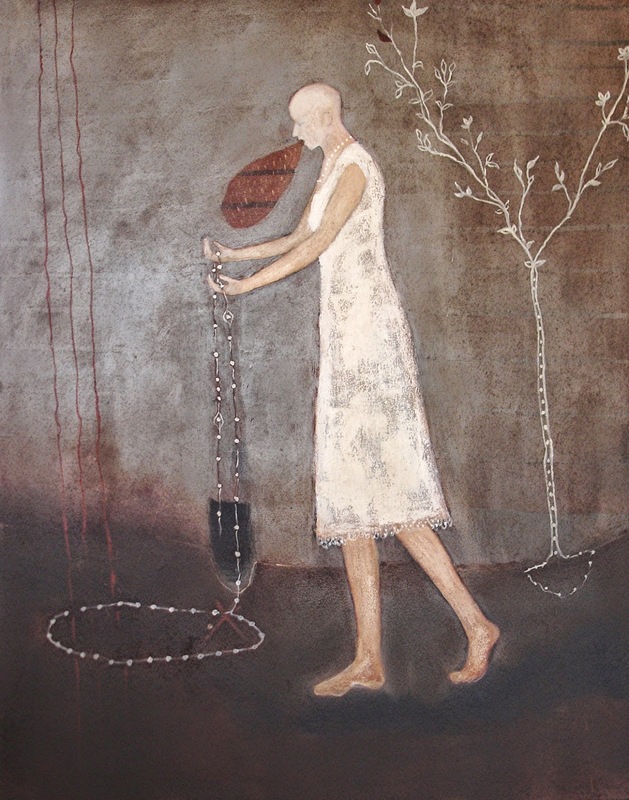 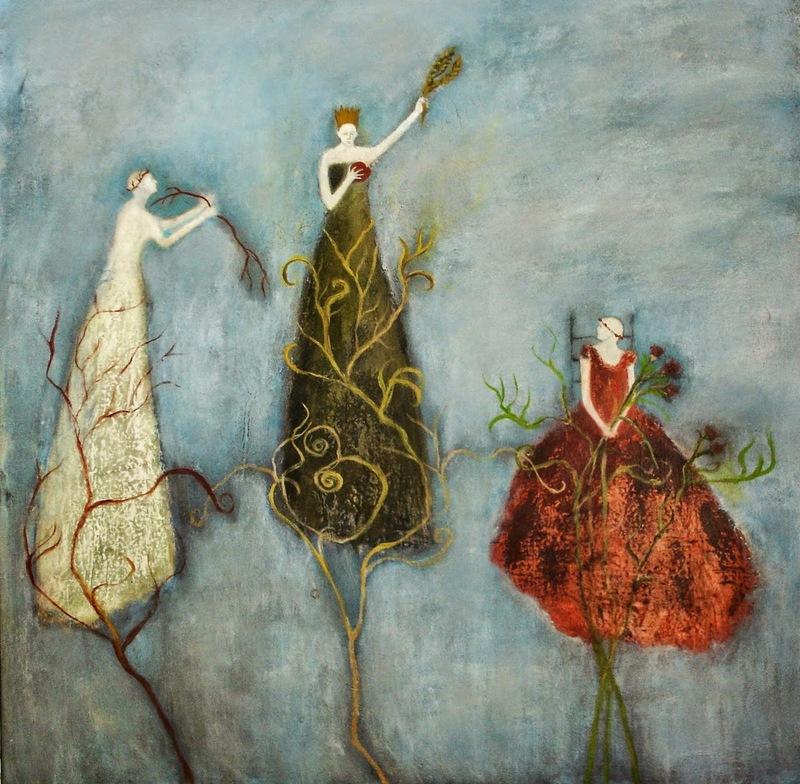 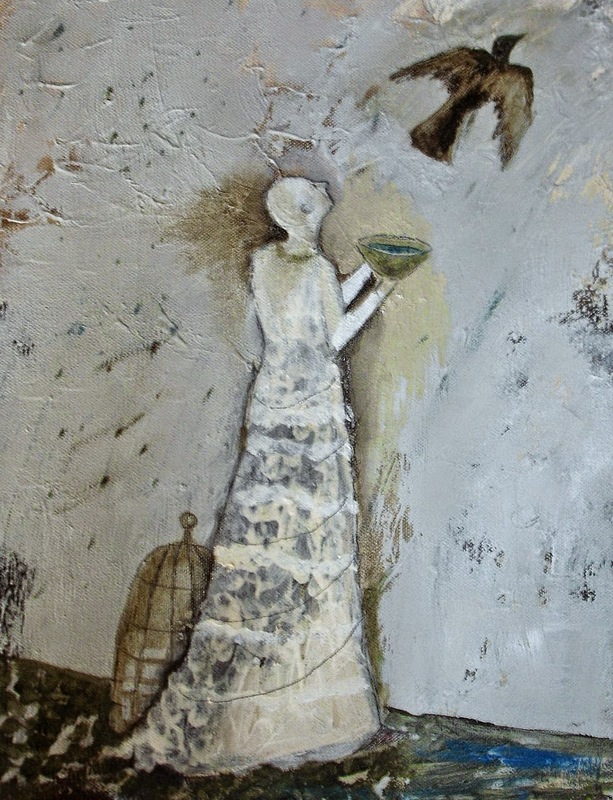 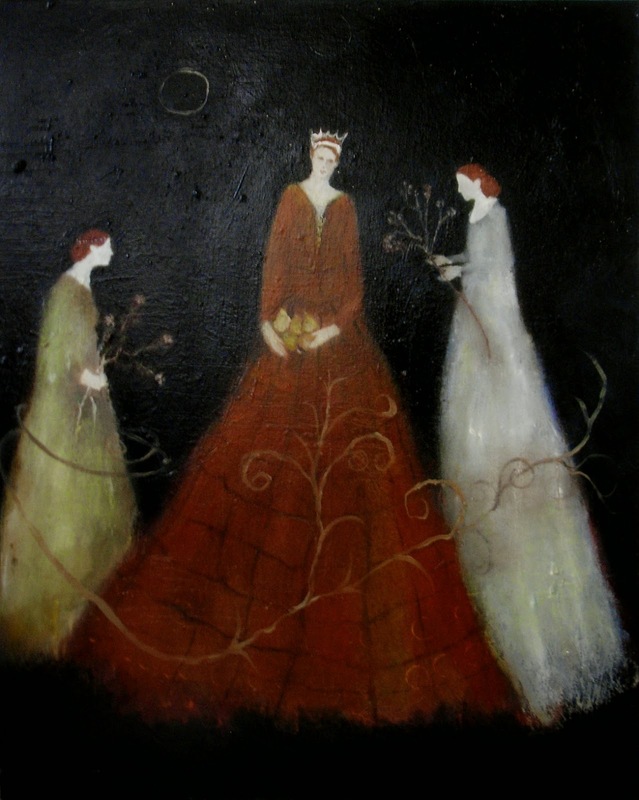 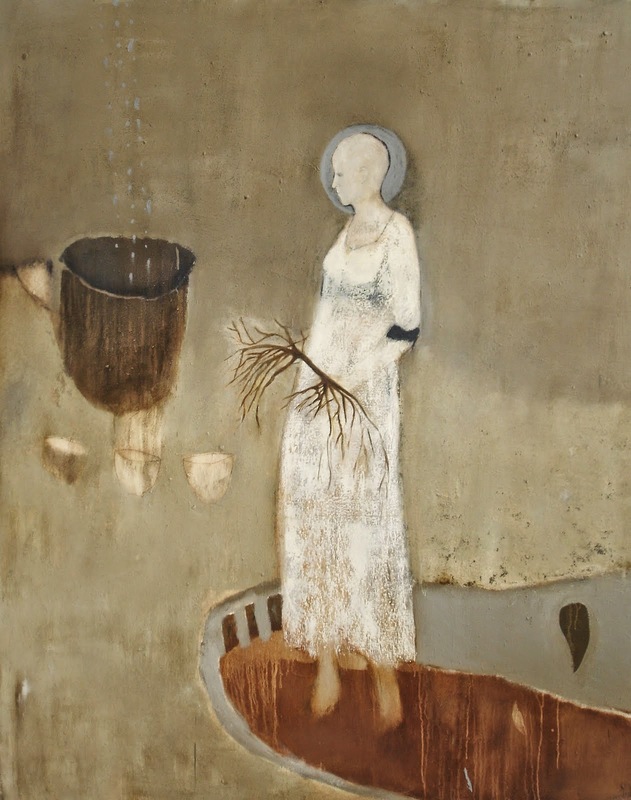 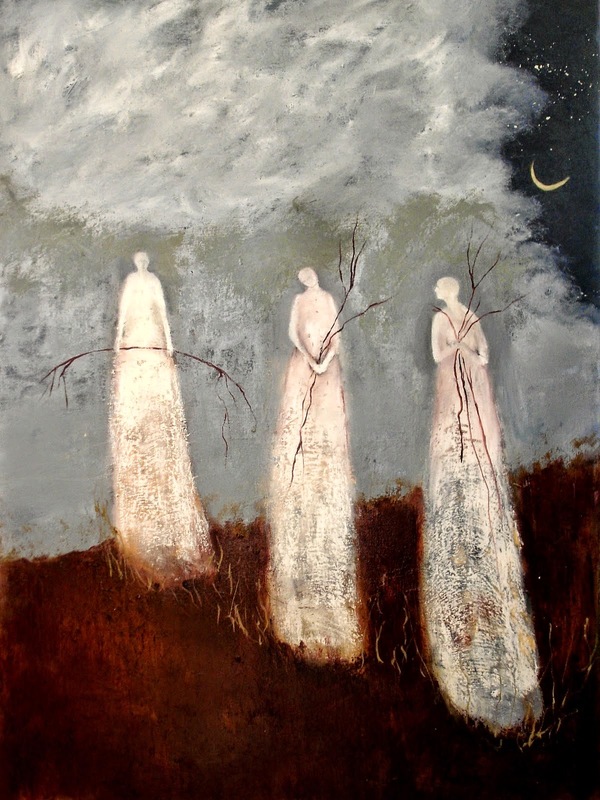 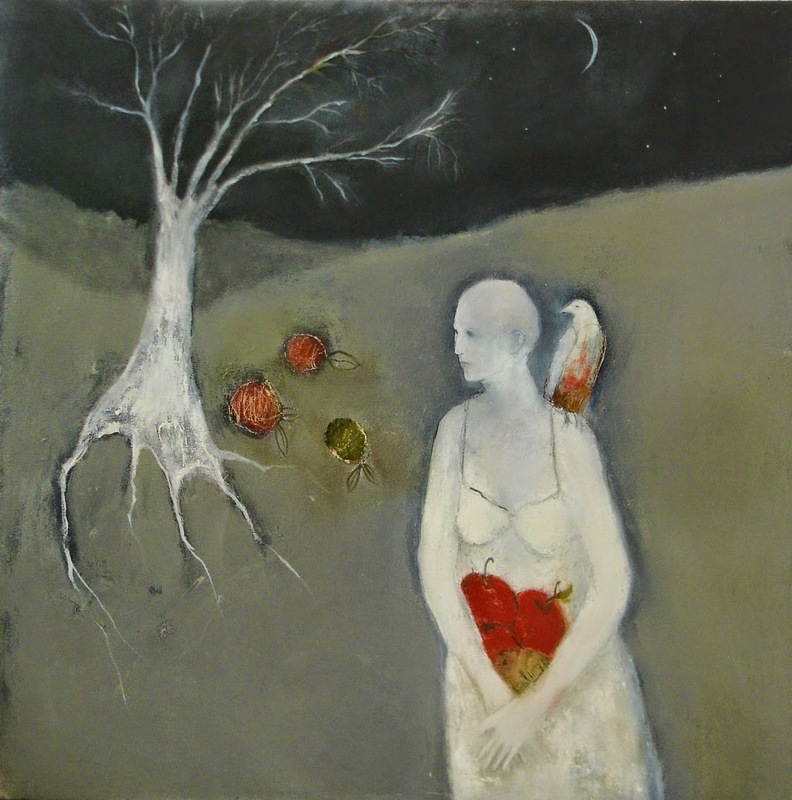 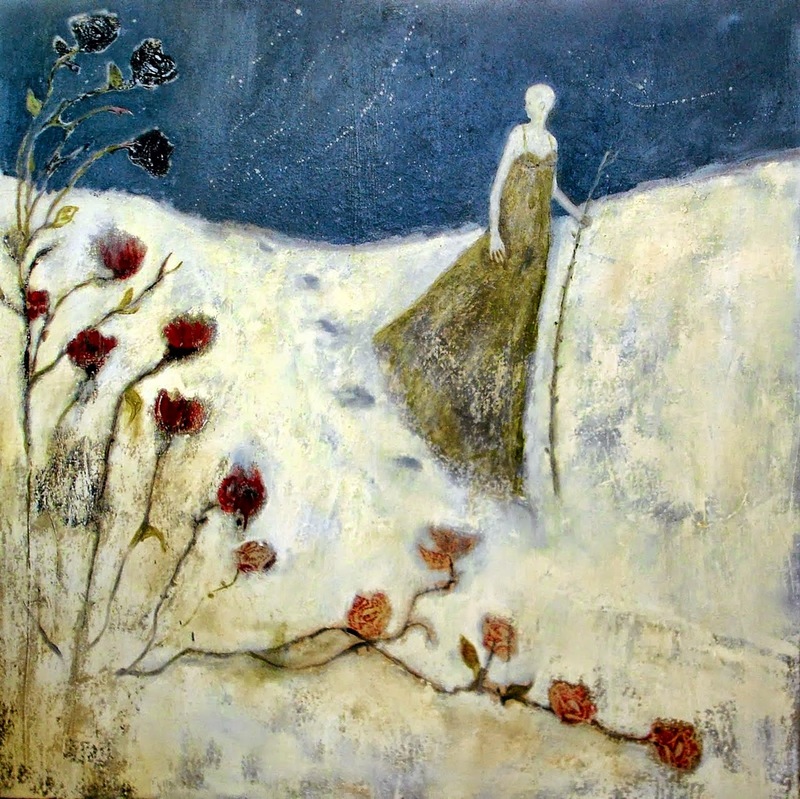 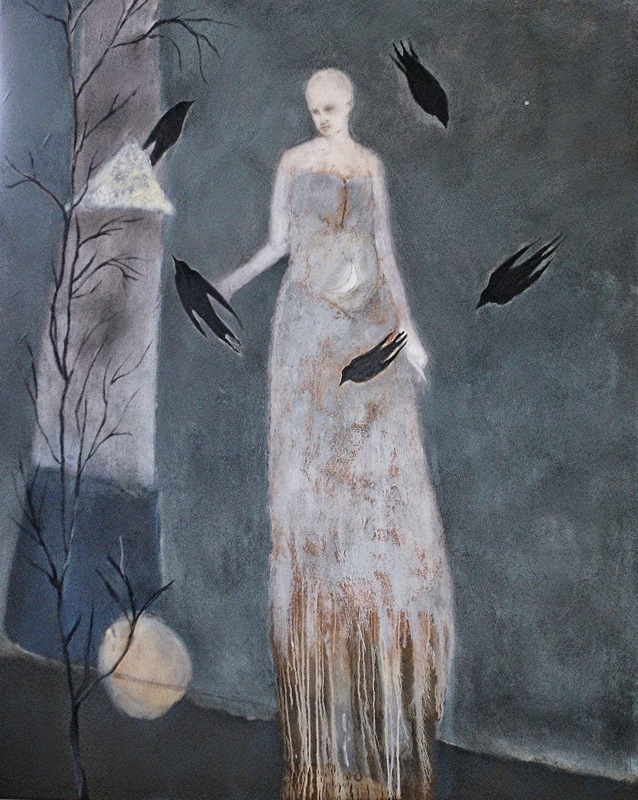 American painter Jeanie Tomanek inspired by literature, folktales and Myths, she portrays tall, snow white, bald women in dreamlike settings. 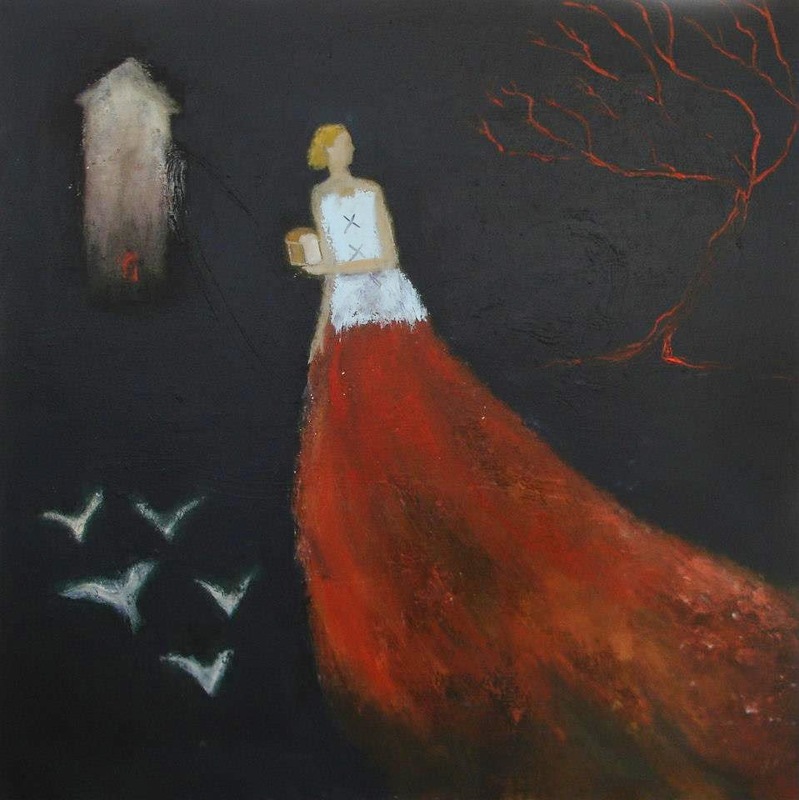 A couple of years ago, Jeany left the corporate life behind to follow her passion and fully focus on her artwork. 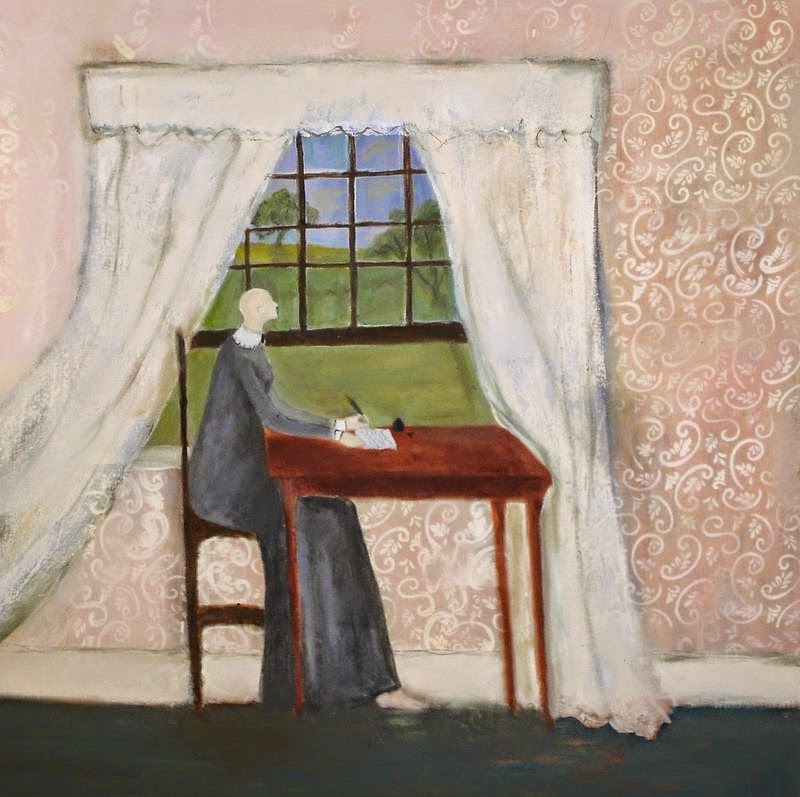 As she explains, painting helps her to develop her inner voice: “I paint to explore the significance of ideas, memories, events, feelings, dreams and images that seem to demand my closer attention”. 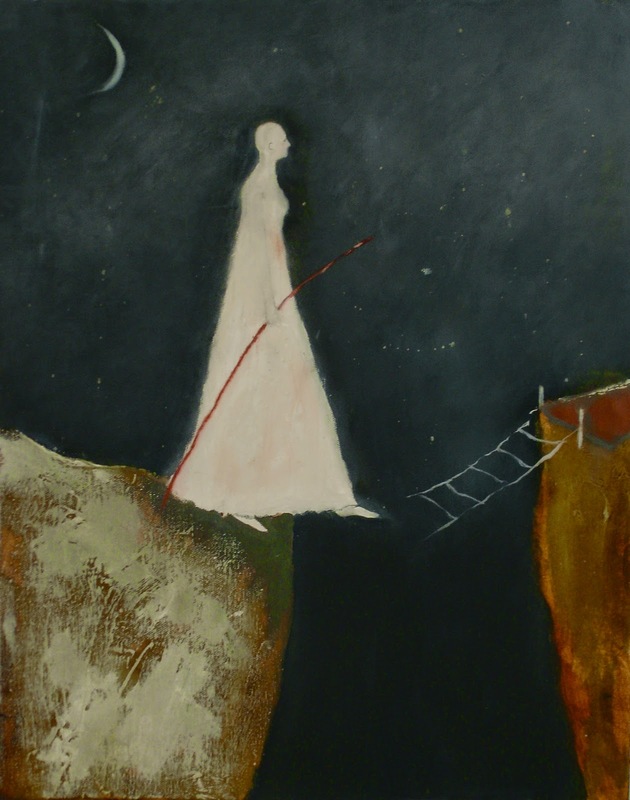 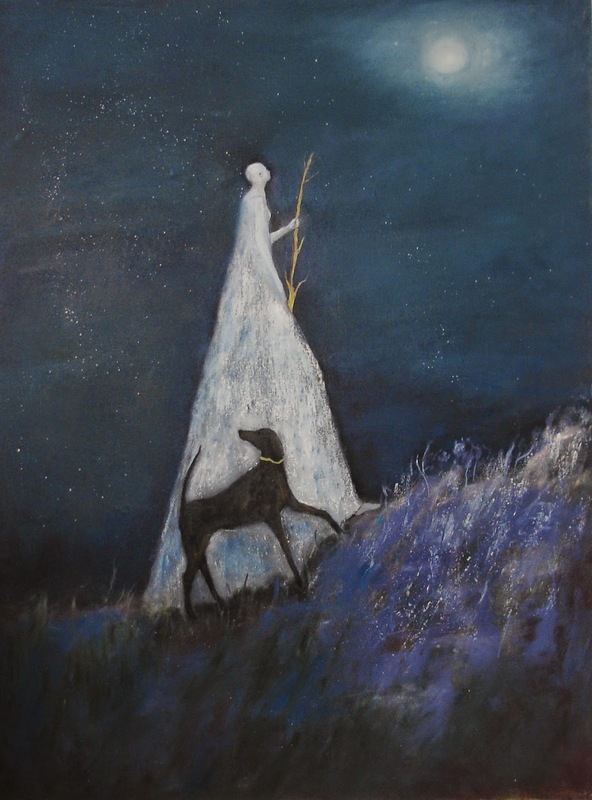 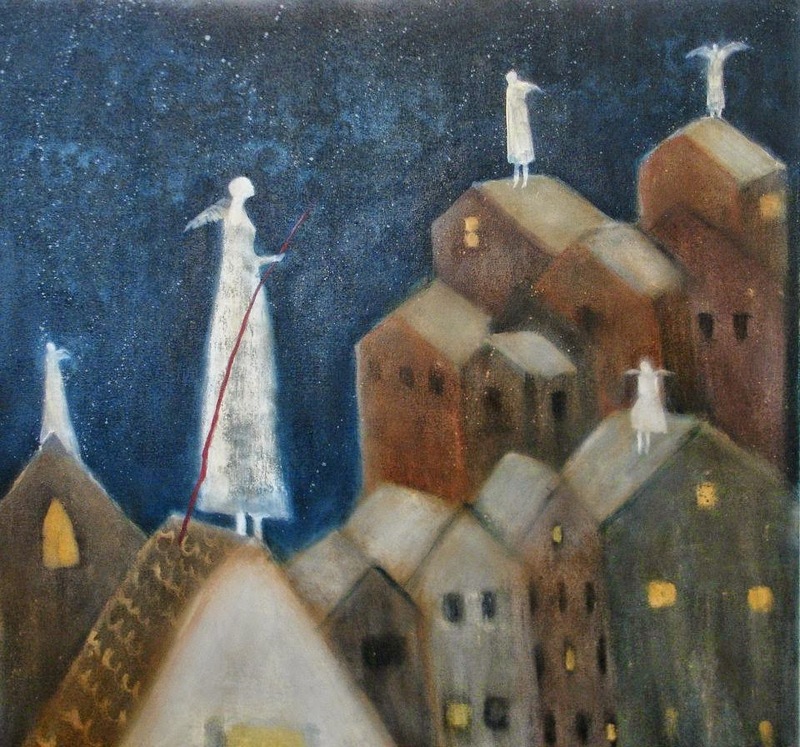 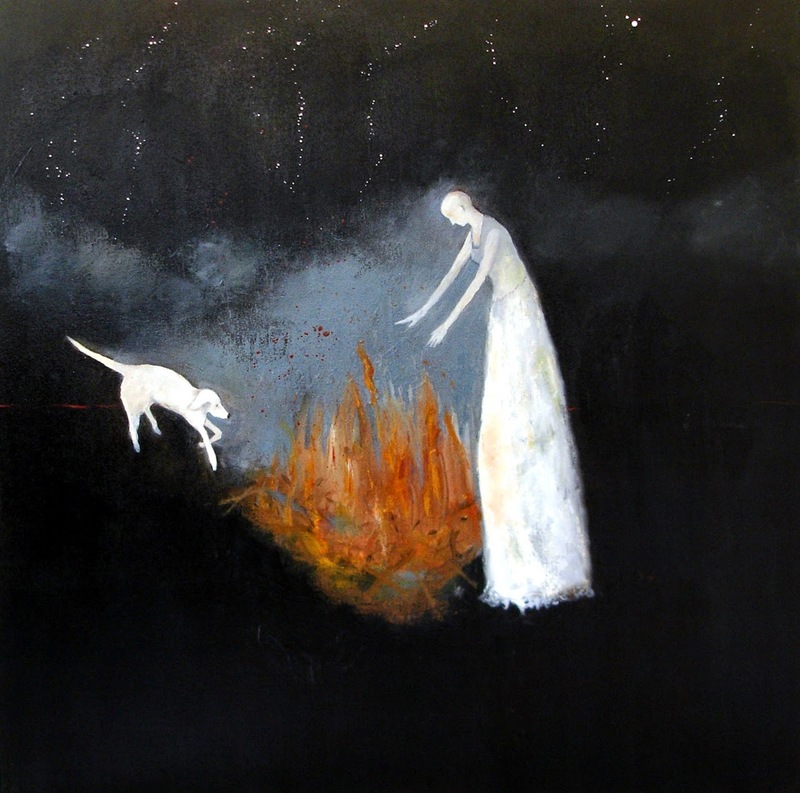 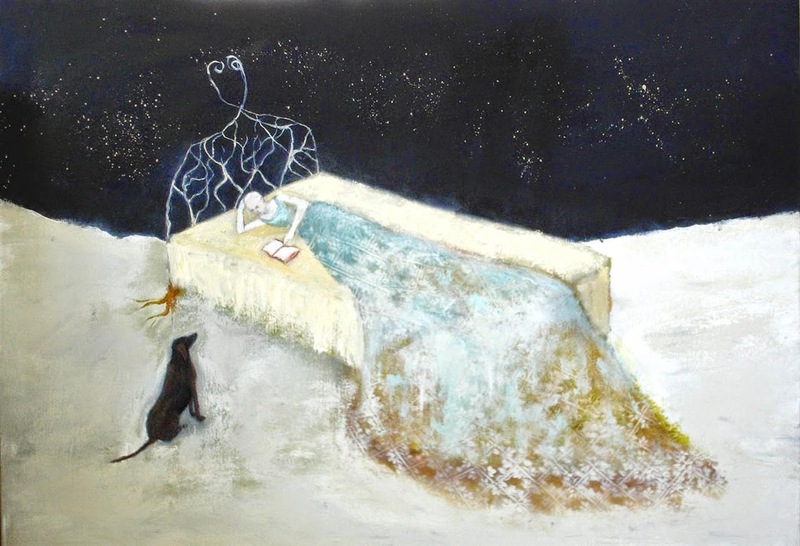 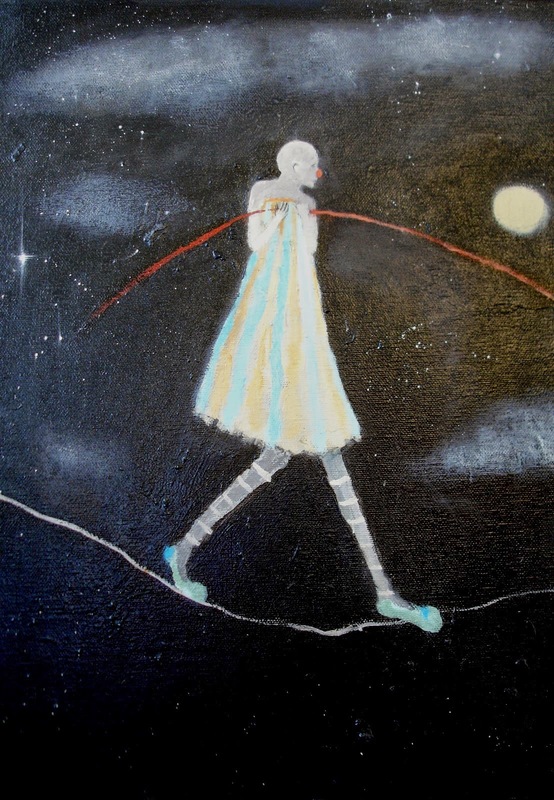 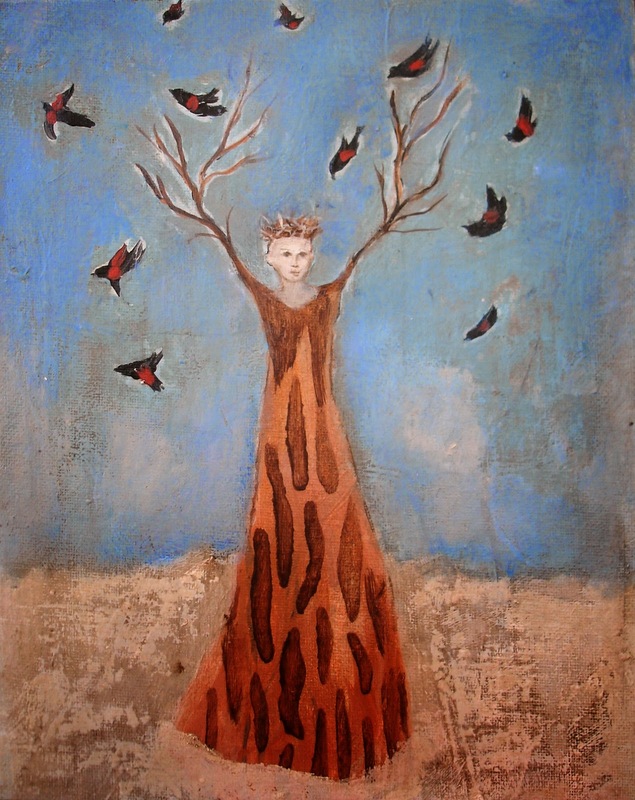 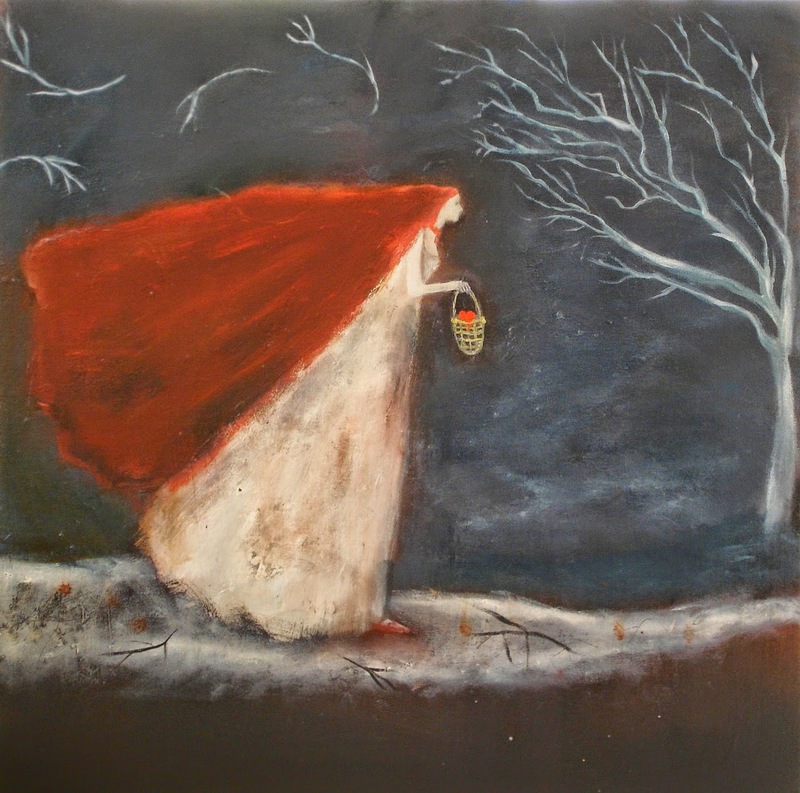 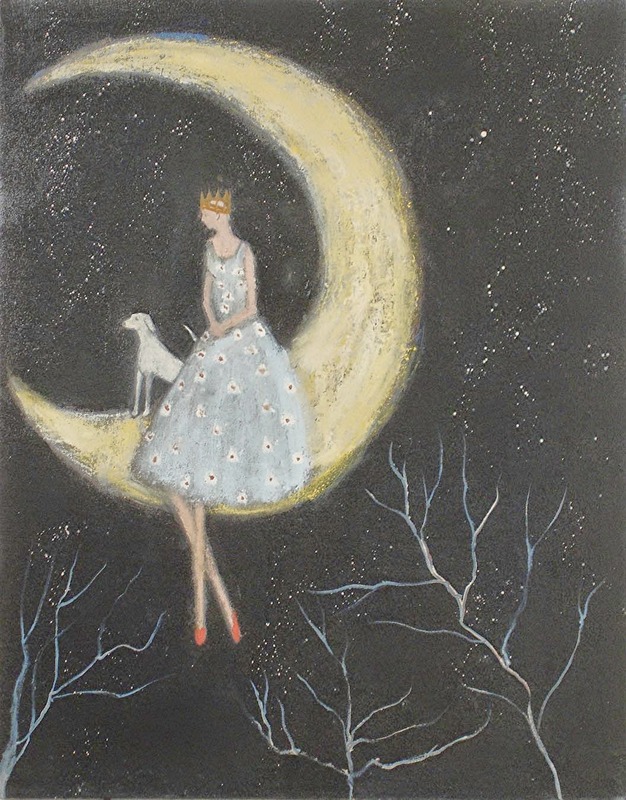 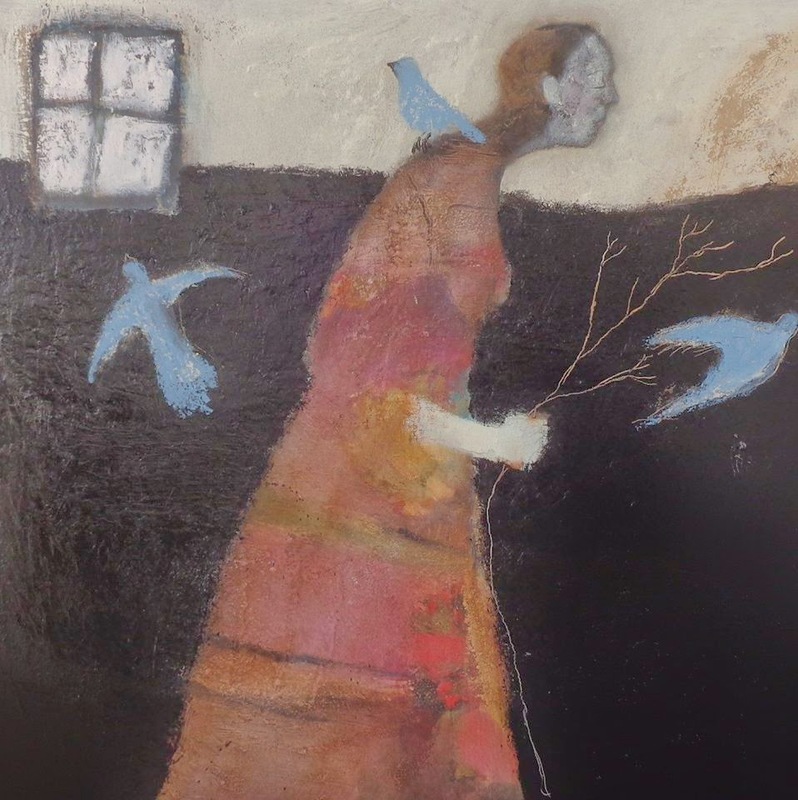 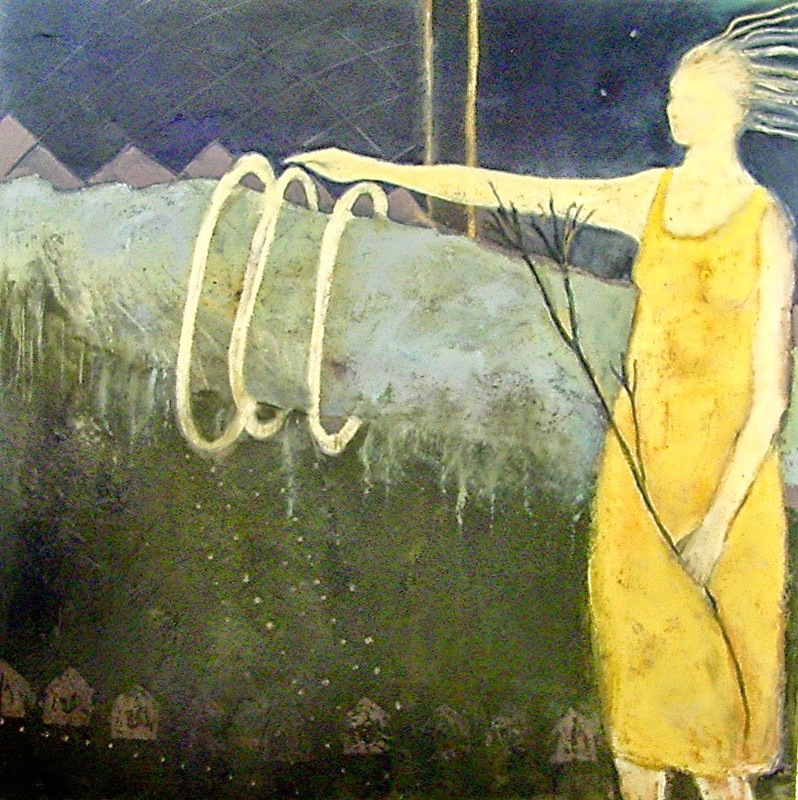 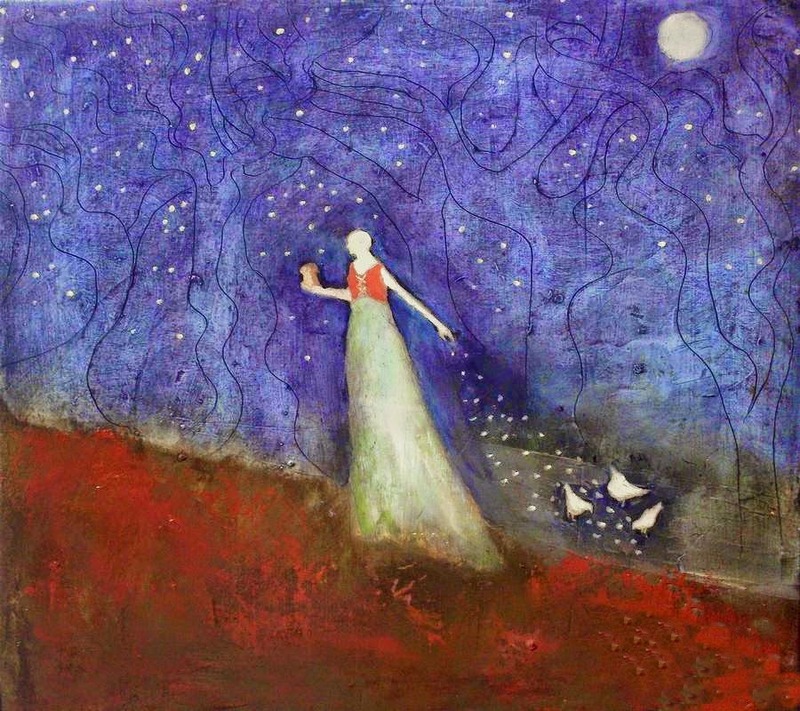 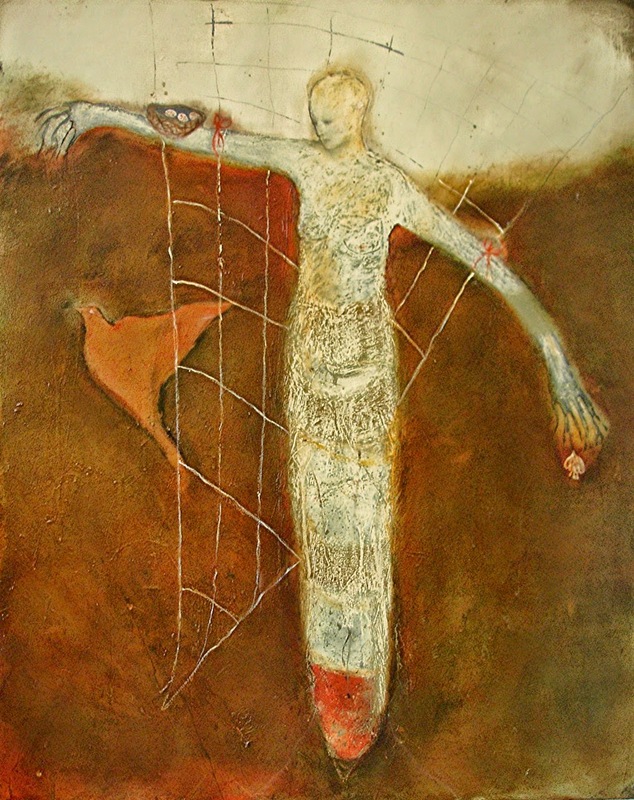 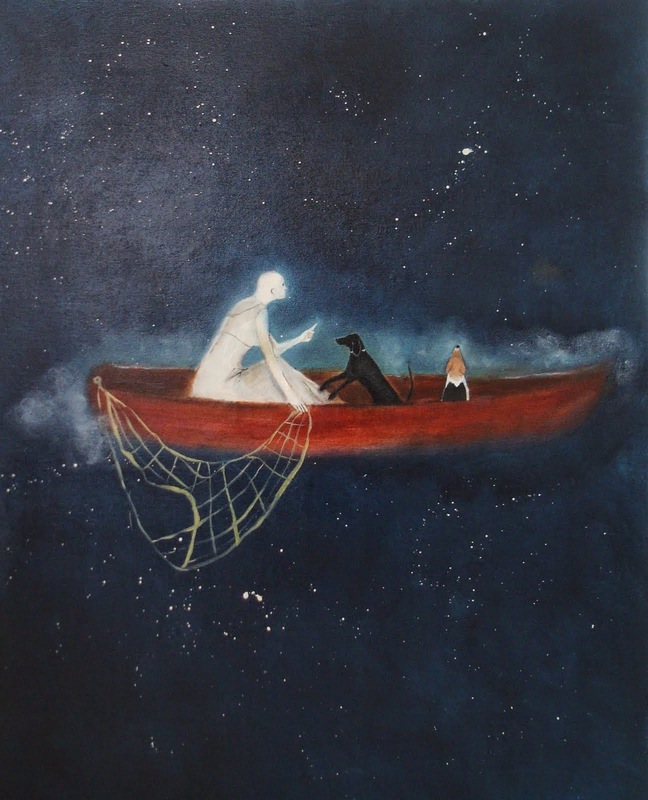 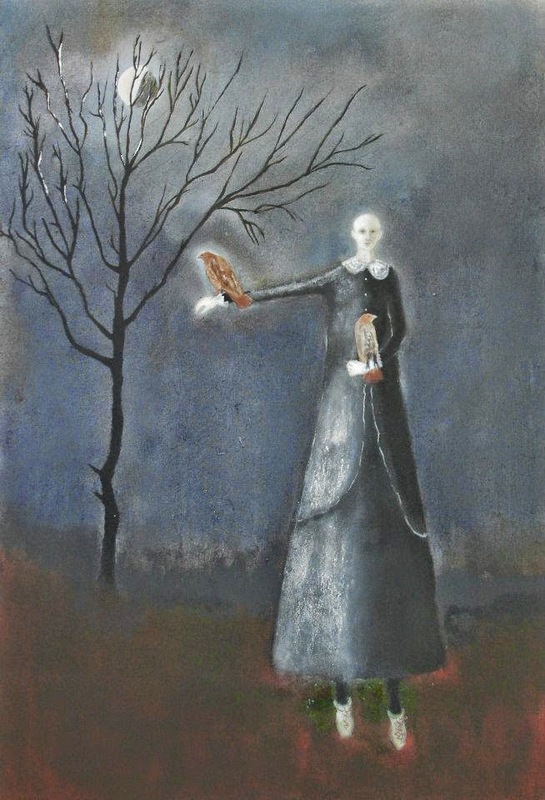 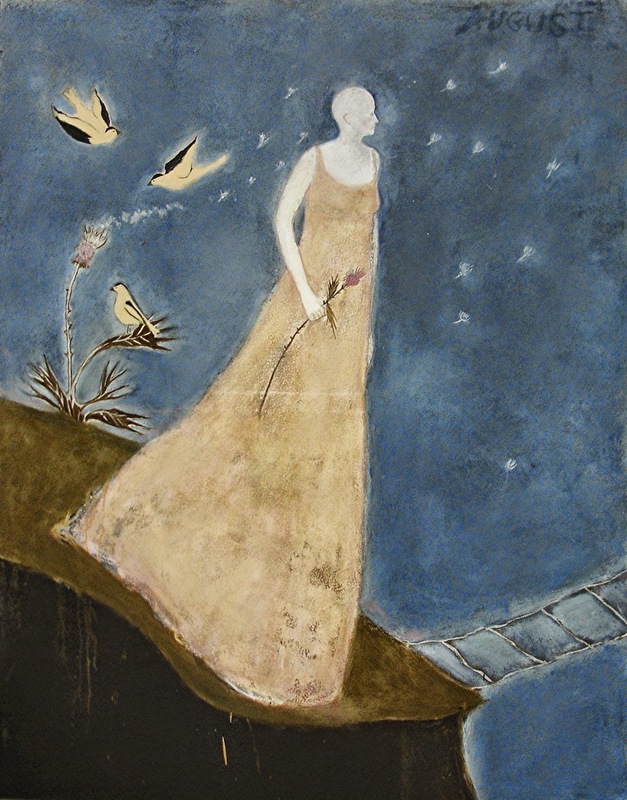 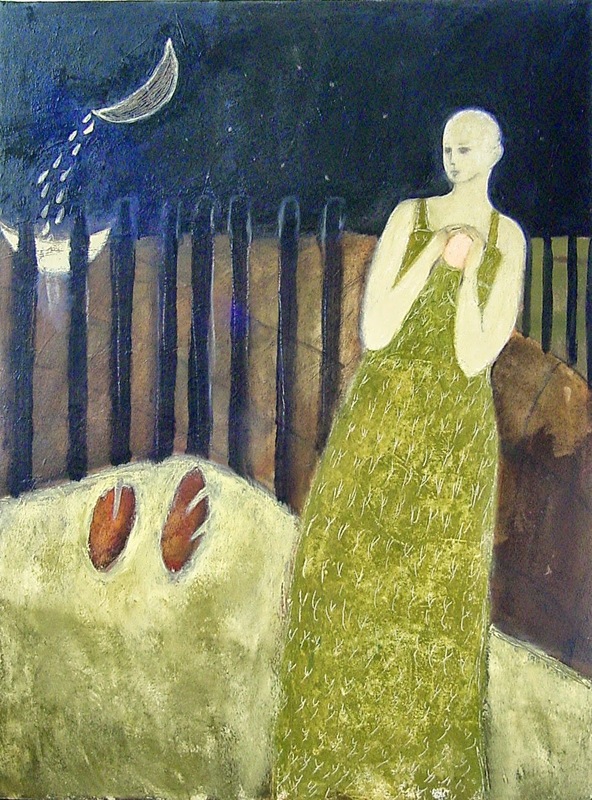 Jeanie Tomanek was born in 1949 in New York. 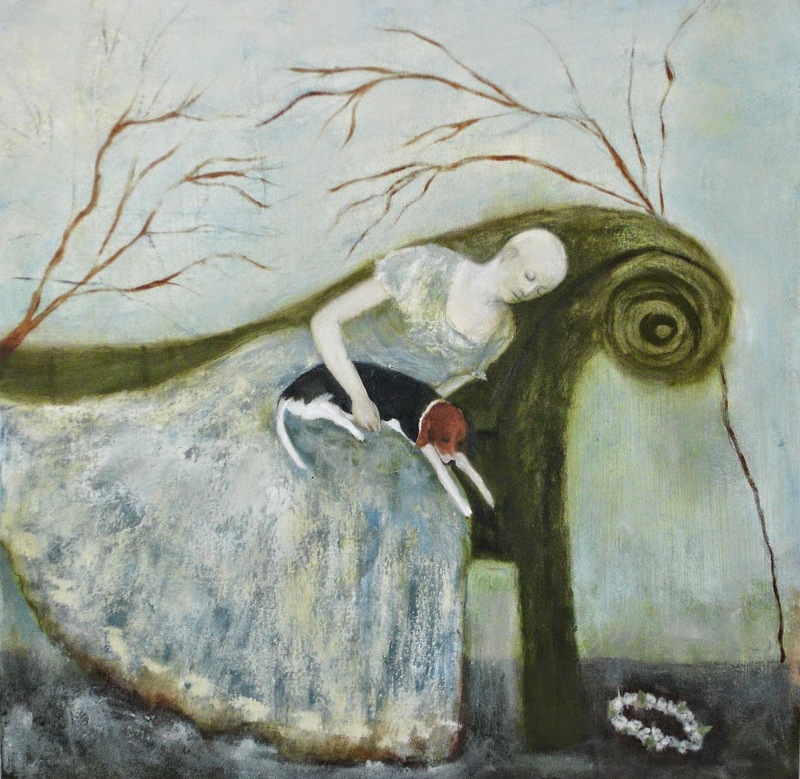 She began painting full time in 2001 and now lives in Marietta, Georgia. 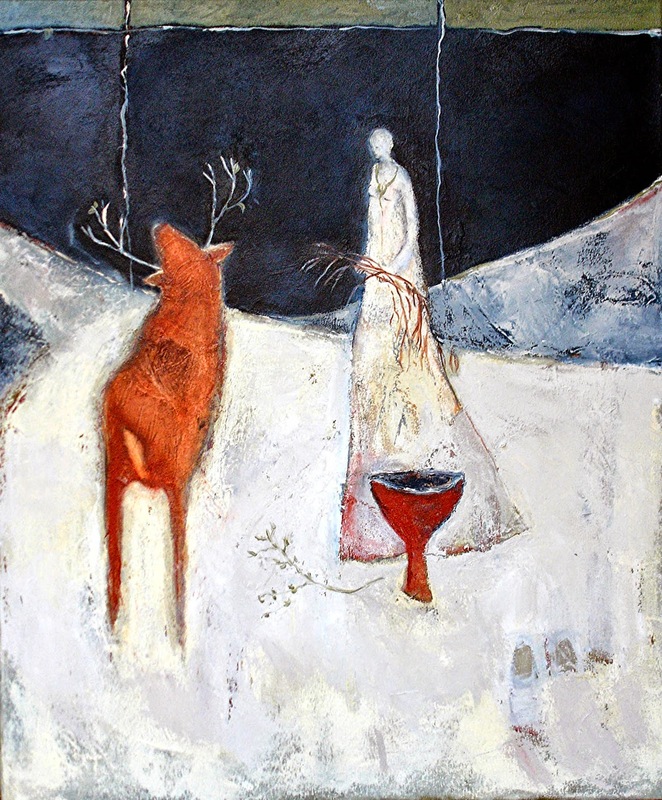 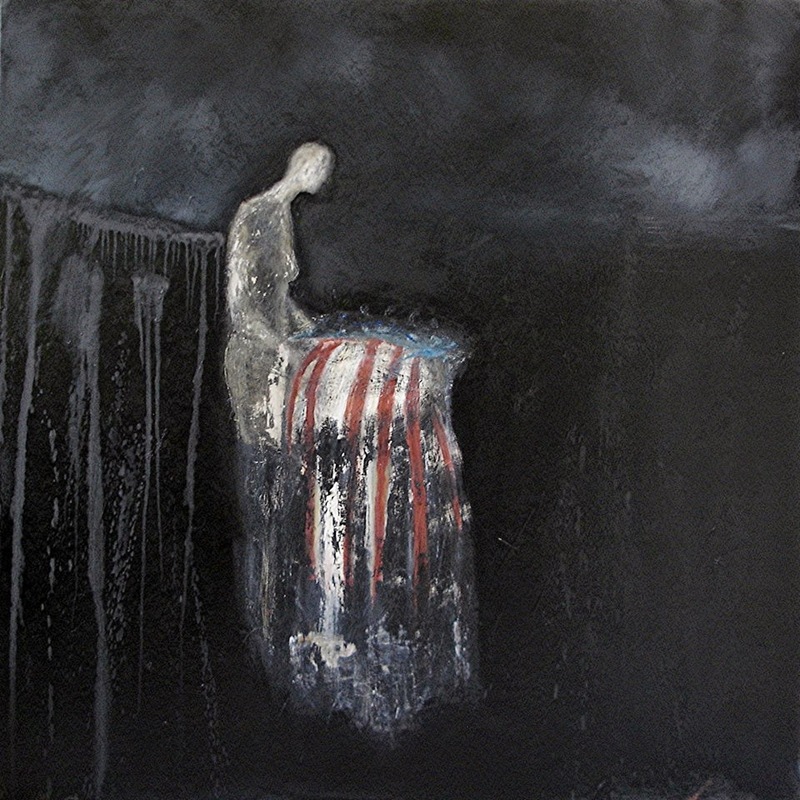 Tomanek paints to explore the significance of ideas, memories, events, feelings, dreams and images that seem to demand her closer attention. 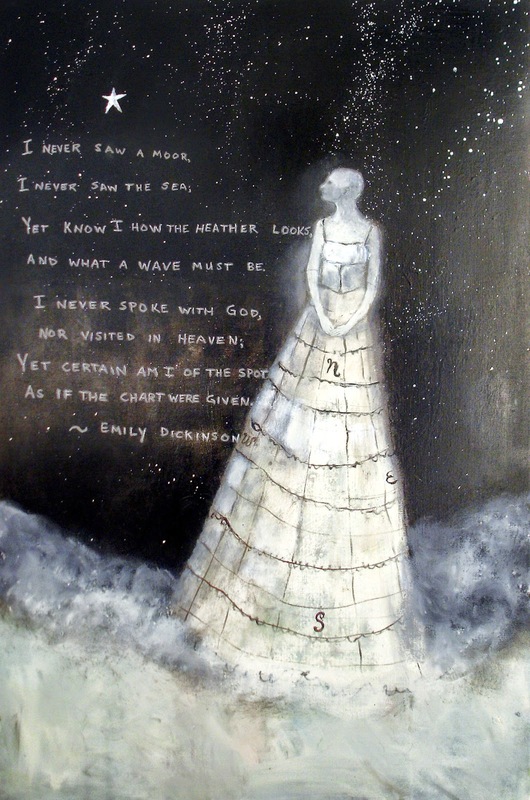 Some of the themes she investigates come first in poems she writes. 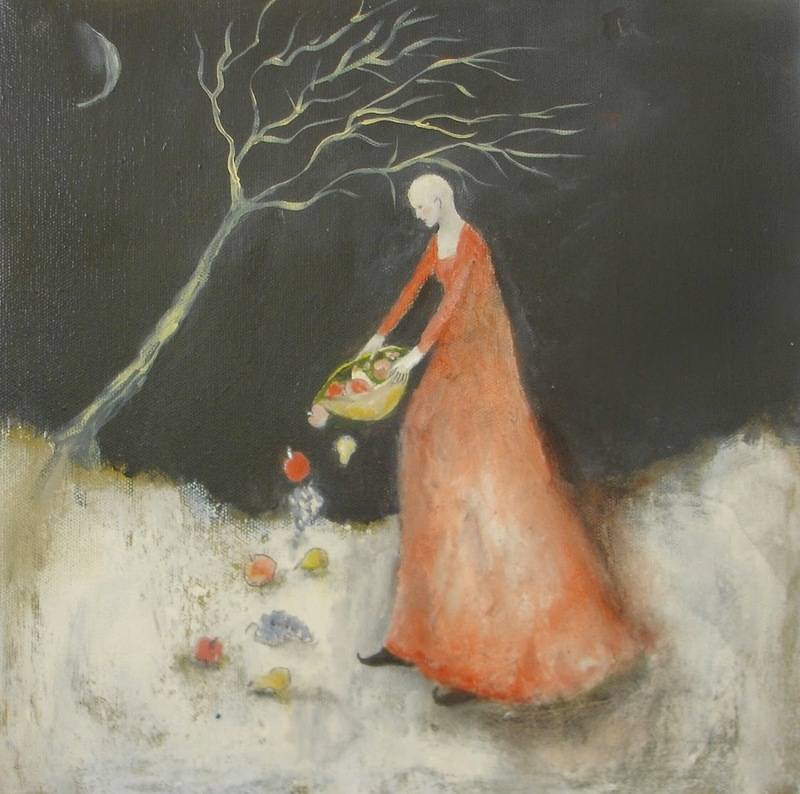 Literature, folktales and myths often inspire her exploration of the feminine archetype. 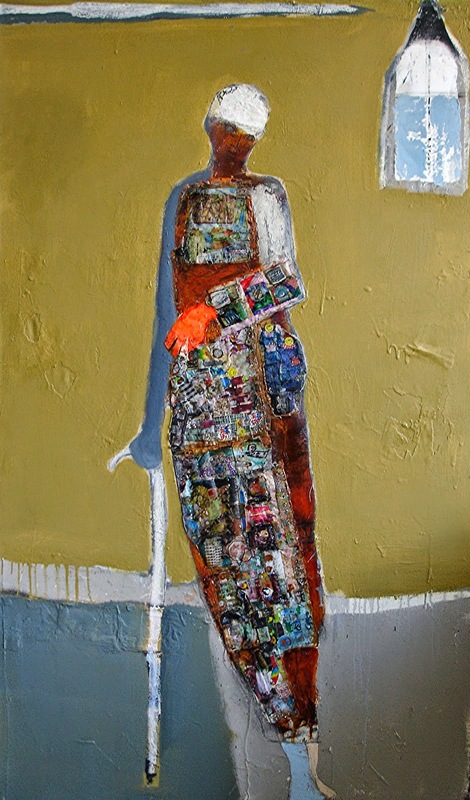 Her figures often bear the scars and imperfections that, to her, characterize the struggle to become. 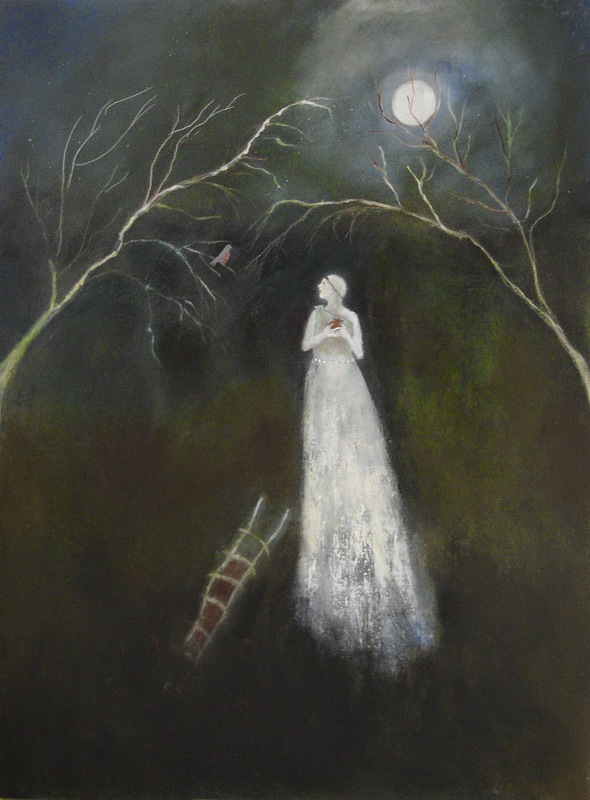 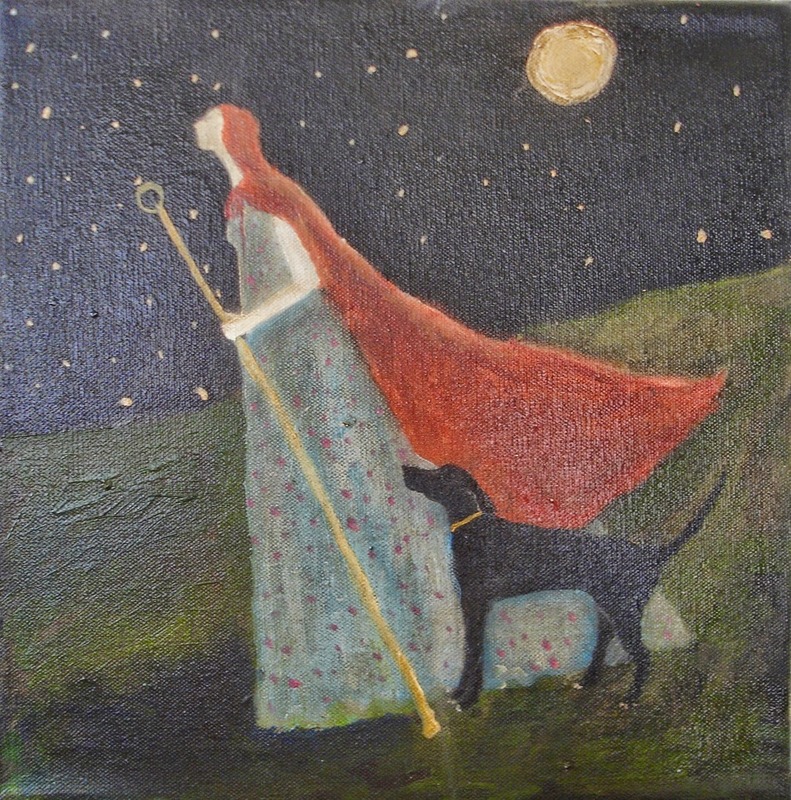 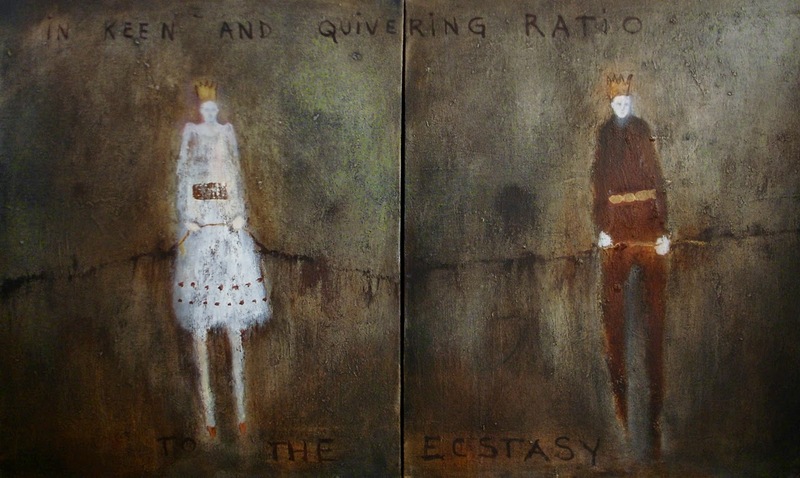 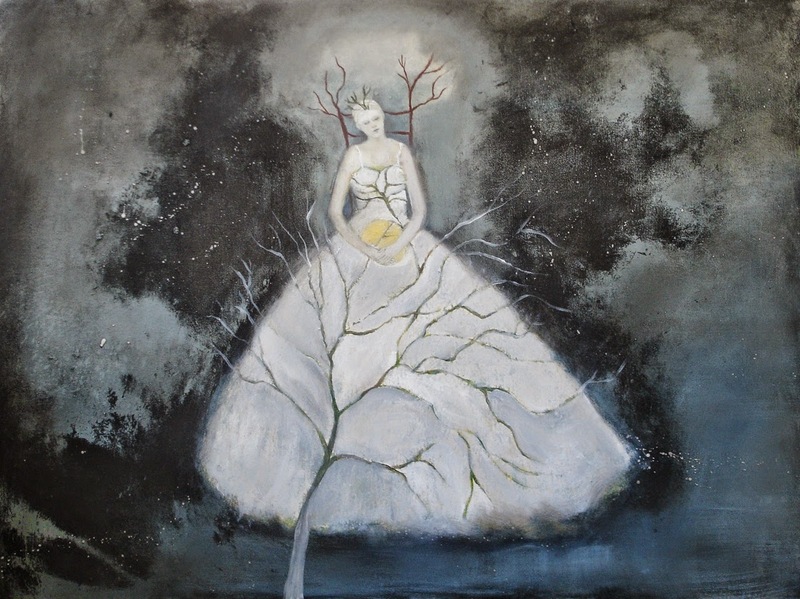 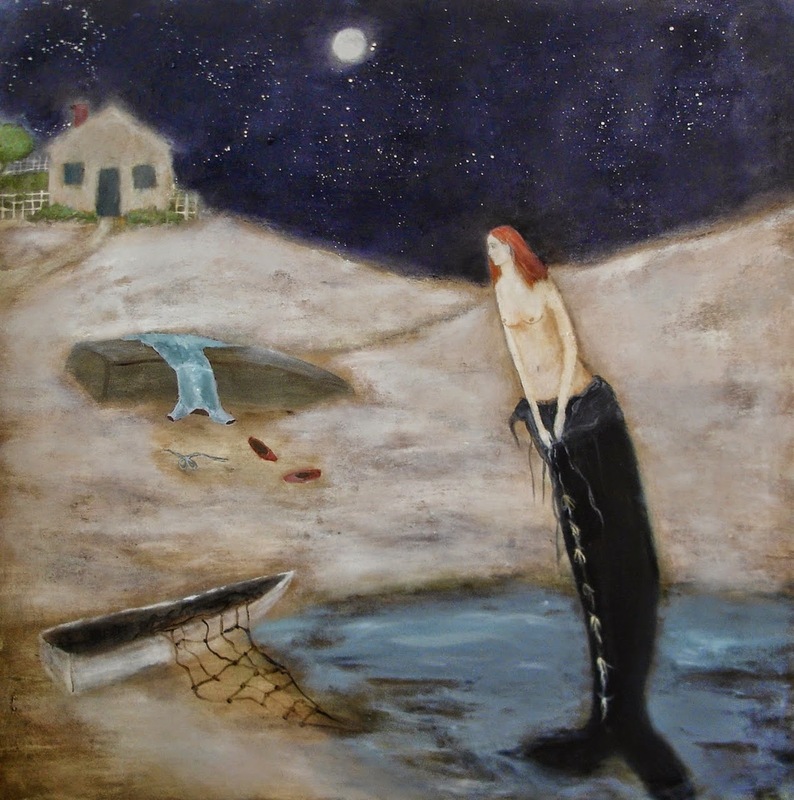 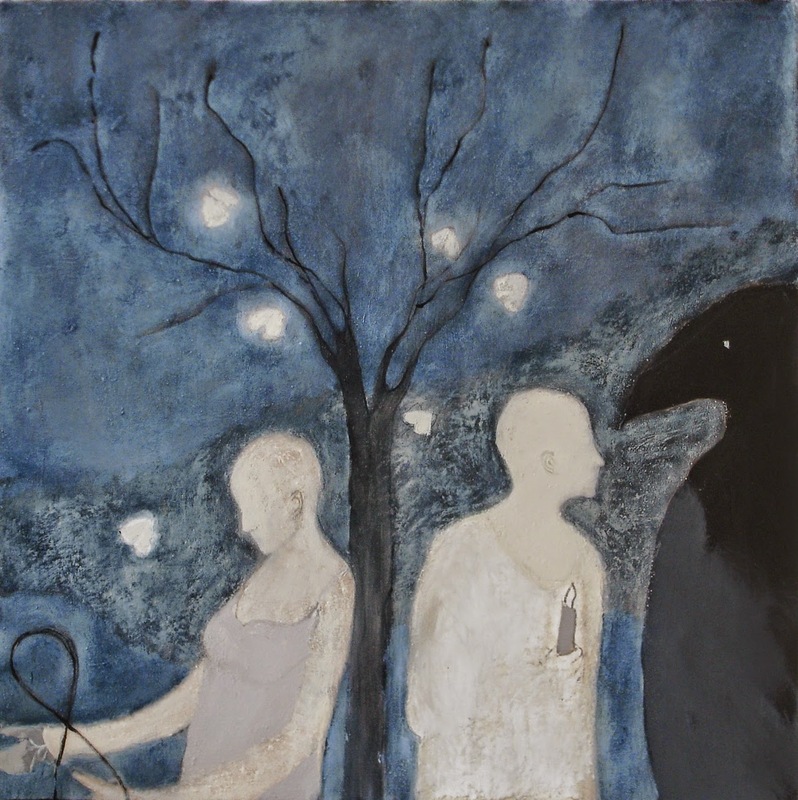 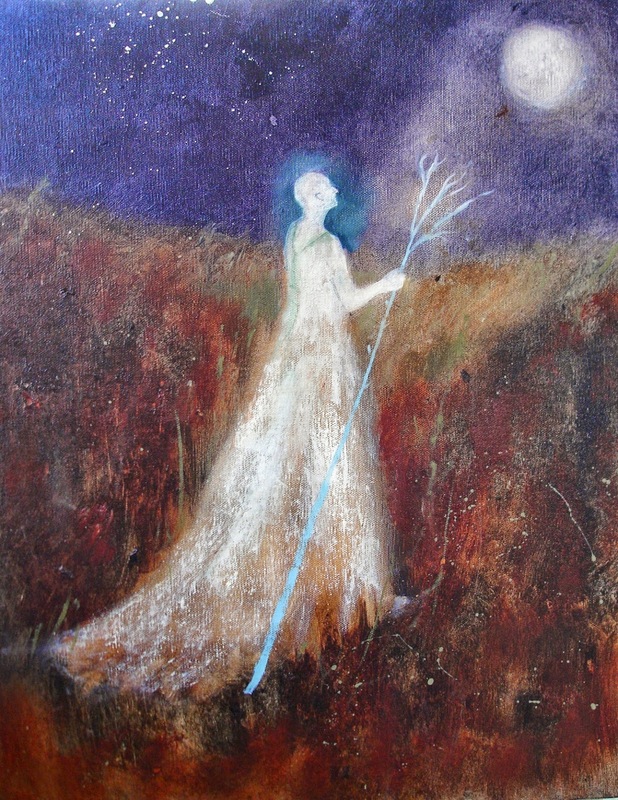 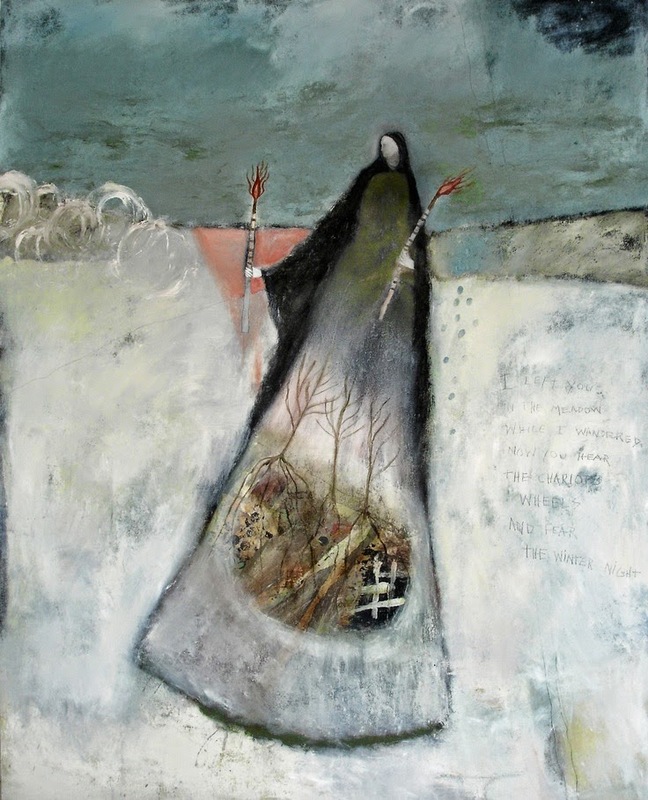 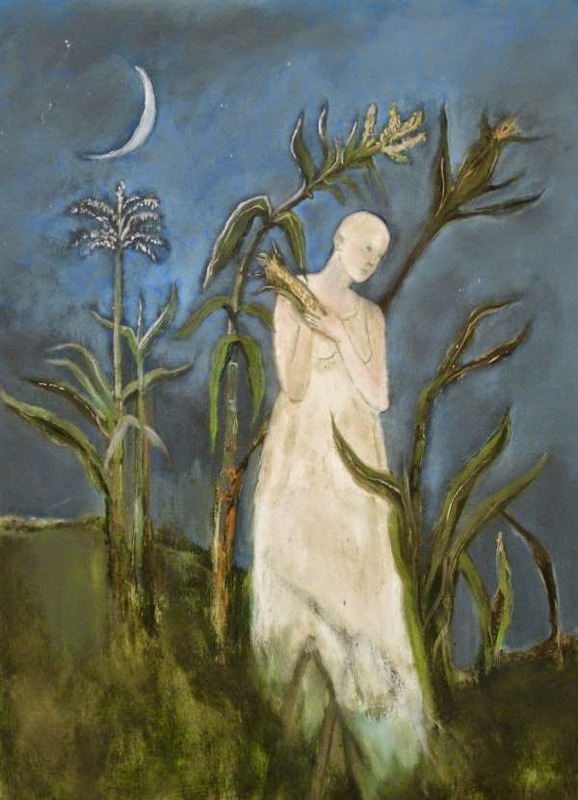 Jeanie's paintings evoke an ethereal, mysterious, mythical, magical, mood-provoking, dream-like, even sometimes slightly (but delightfully) eerie sensation. 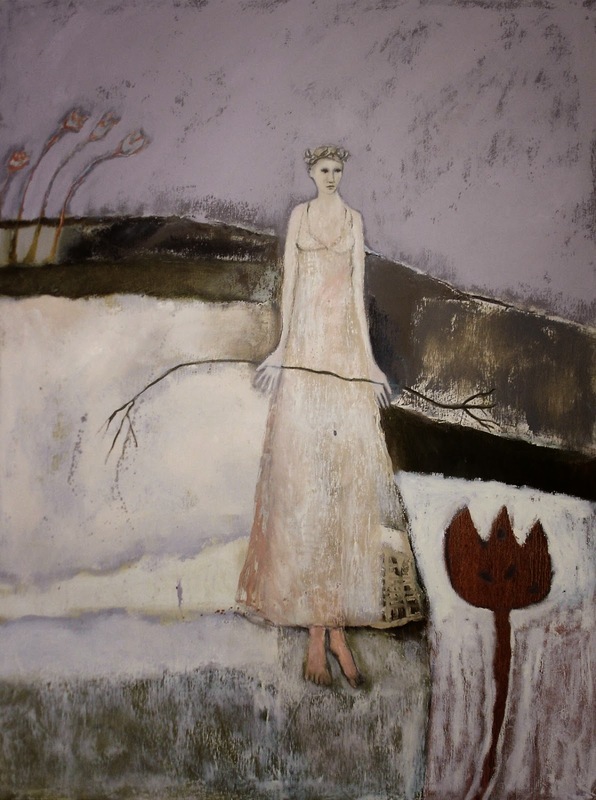 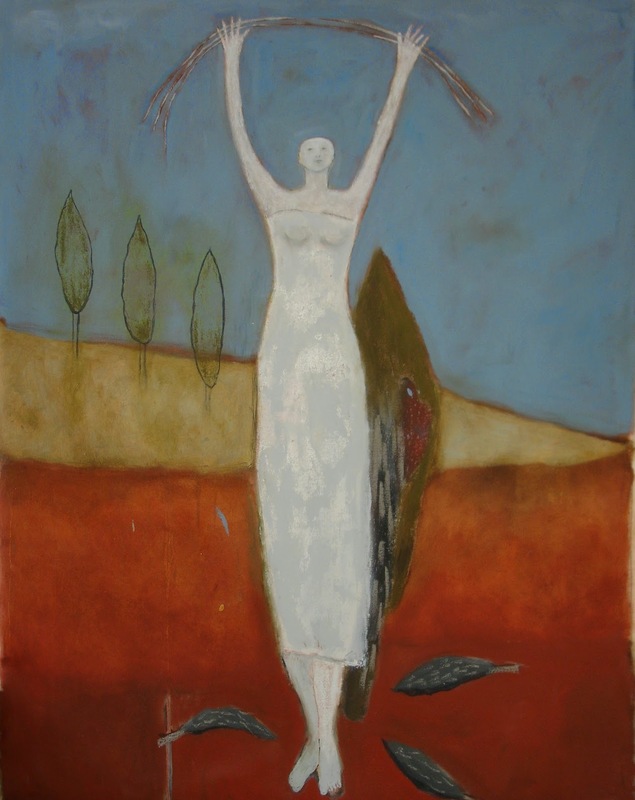 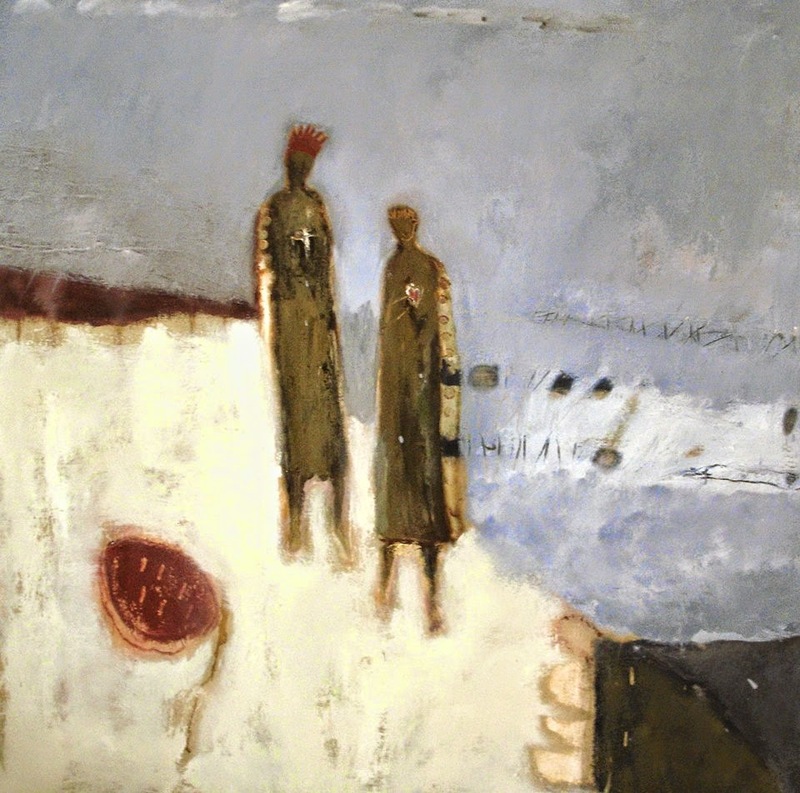 In her work, Tomanek uses oils, acrylic, pencil and thin glazes to create a multi-layered surface that may be scratched through, written on or painted over to reveal and excavate the images that feel right for the work. 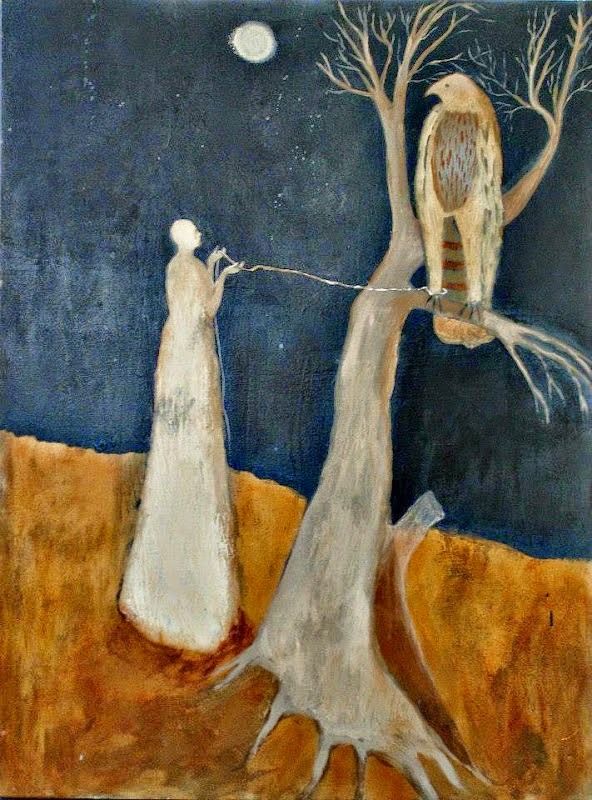 In reclaiming and reconstructing areas of the canvas, the process of painting becomes analogous to having a second chance at life, this time a little closer to the heart's desire..